McKendree University’s speech and debate team finished its regular season with strong performances at the Missouri State Tournament and the Loyola National Warm-Up, taking home a total of 16 awards. 15 colleges and universities, including Truman State University, Webster University, and the University of Illinois, attended the Missouri State Tournament, hosted by the University of Central Missouri on Feb. 14-15. Representing McKendree were juniors Rebecca Blake, Josh Fleming, and Spencer Marcum; sophomore Cassie Kuberski; and first-years Katie Reining and Taylor Rossi. Marcum advanced to finals in four events. He took home the Missouri state championships in programmed oral interpretation, prose, and poetry – the first state championships in program history. He also took 3rd place in drama. Blake and Fleming advanced in duo and took 2nd place. Fleming also took 5th place in programmed oral interpretation and 6th place in after dinner speaking, while Blake took 5th place in after dinner speaking. 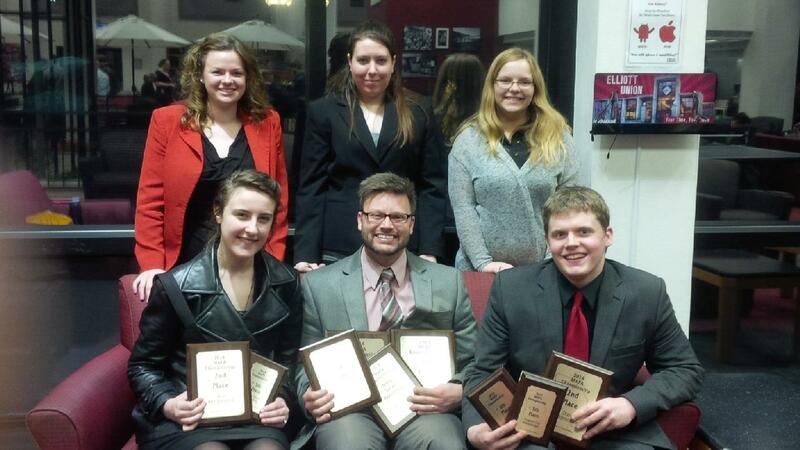 Marcum took home 2nd place in individual sweepstakes, while McKendree took 5th place as a squad. As a result, McKendree qualified three more events for the American Forensic Association National Individual Events Tournament: Marcum in poetry and prose, and Blake/Fleming in duo. 15 colleges and universities, including Texas Tech University, Purdue University, Rice University, and Tulane University attended the National Warm-Up at Loyola University in Chicago, IL on Feb. 14-16. Representing McKendree were seniors Brent Nicholson and Brad Thomas as well as first-years Mary Makarishcheva and Rodney McBride. At the first half of the tournament, Nicholson and Thomas posted an even record. 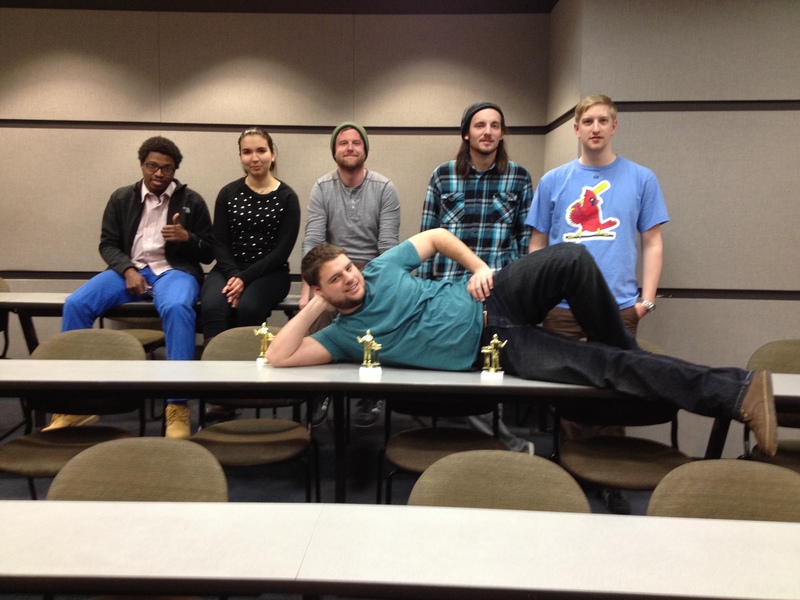 They finished as octofinalists after losing to Concordia University. Nicholson and Thomas took 2nd and 3rd place speaker awards, respectively. McBride also advanced to elimination rounds with a 3-2 record – beating the SIU’s top-ranked team in the first round. They lost to Texas Tech University and finished as octofinalists. Thomas and Nicholson were the 5th and 6th best speakers at the tournament, respectively. Nicholson and Thomas place 2nd in the I-70 Sweepstakes Cup, based on the year-long success. McKendree will begin its nationals competition with the National Parliamentary Tournament of Excellence and National Parliamentary Debate Association Championship Tournament, both hosted by Northern Arizona University on March 14-24. The team will then attend the Pi Kappa Delta National Tournament, hosted by Indiana University and Purdue University at Indianapolis on March 20-24. The team will close with the American Forensic Association National Individual Events Tournament, hosted by Arizona State University on April 3-8.